Fern and Rosemary are sisters. They live together in a big house in the country. This is the simplest of the many beginnings to Rosemary Cooke's story in the extraordinary, the exquisite, the thoroughly wrecking We Are All Completely Beside Ourselves. The best book I've read all year. I'm somewhat conflicted in talking about this book at all, because I want everyone to read it, and I also want everyone to go in completely cold. Don't even read the back cover, folks! But at the same time, I have about a million things I want to say about it, so. Let's pretend you've already read it. Or that you don't mind being... not really spoiled, but conceptually informed. We Are All Completely Beside Ourselves is, as I said above, Rosemary's story. It's mostly about her Midwestern childhood in the 1970's and her California college days in the mid-90's, but she's telling it to us from the vantage point of 2012 or so. Her life has been fairly average - parents, brother and sister, high school and college and so forth - except for one thing. One singular family tragedy that happened when she was only 5 years old, half-remembered and never discussed, that sent shock waves through the lives of everyone she loves and shattered all of them irrevocably. This novel is her attempt to pick up the pieces, put them back together into something recognizable and reasonably whole. Or if that's impossible, to at least understand what happened and come to peace with it. There are moments when history and memory seem like a mist, as if what really happened matters less than what should have happened. The mist lifts and suddenly there we are, my good parents and their good children, their grateful children who phone for no reason but to talk, say their good-nights with a kiss, and look forward to home on the holidays. I see how, in a family like mine, love doesn't have to be earned and it can't be lost. Just for a moment, I see us that way; I see us all. Restored and repaired. Reunited. Refulgent. When Rosemary was five years old, she was sent away for a week to stay with her grandparents. When her father picked her up, he took her home to an unfamiliar house on the other side of town. 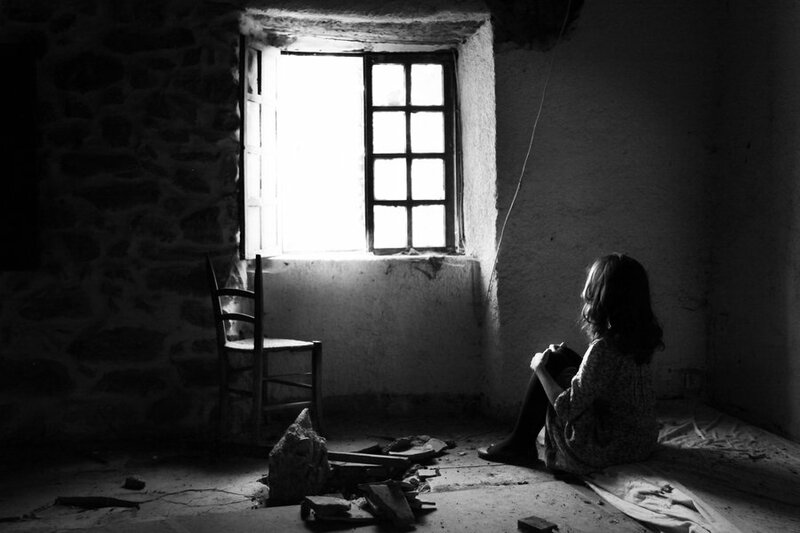 She found her mother shut up in her bedroom, a nervous breakdown that would last for months. She found her older brother Lowell, transformed into a sullen ball of rage. And her sister Fern... well, Fern was gone. What happened to her? Well, there's another thing about the Cookes that deviates a bit from the ordinary. I tell you Fern is a chimp and, already, you aren't thinking of her as my sister. You're thinking instead that we loved her as if she were some kind of pet... Fern was not the family dog. She was Lowell's little sister, his shadow, his faithful sidekick. Our parents had promised to love her like a daughter... She was my twin, my fun-house mirror, my whirlwind other half. Rosemary's father was a psychology professor at the local university, and raising Fern and Rosemary together as twins was both an experiment and a permanent family situation. That was the plan anyway. Years later, Rosemary can't remember what happened leading up to Fern's disappearance. She knows that it is somehow her fault (before Lowell also disappeared, he blamed her specifically). She knows that it broke her mother's heart and destroyed her father's career. But the family never talks about it, and on some level, Rosemary is terrified of the answer. It all remains buried until she gets to college, where she meets someone who rips all those wounds open again. Someone who reminds her, as no one else ever has, of her long-lost sister. Though these experiments were all successful to some degree, and very informative, none of them had what you would call a "happy ending". I'd suggest that you not look up Lucy's fate, unless you want to have your whole week ruined. 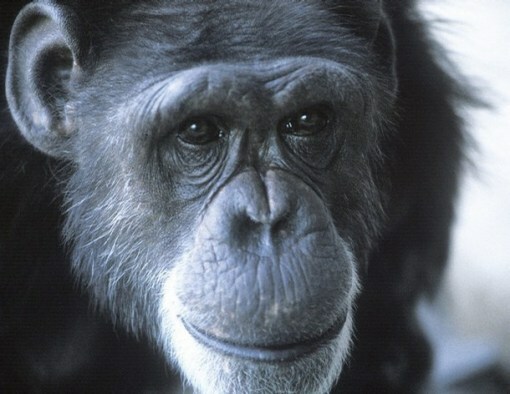 And though things turned out relatively decent for Washoe, who eventually went to live in a sanctuary in Eastern Washington with four other chimps (where I met her back in 2003), there was something so deeply sad about that place. So Fern's story is not unprecedented. 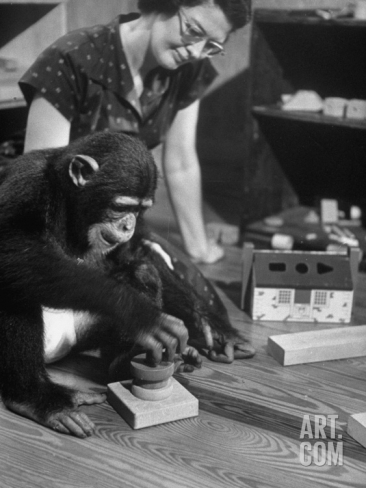 And what's so tragic about these experiments is that chimps are both so like us and at the same time so completely not. 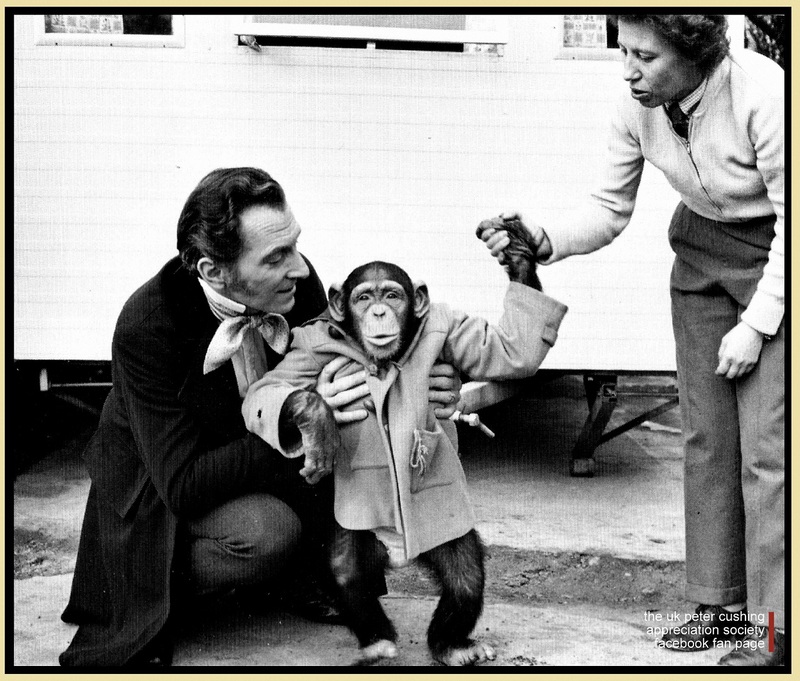 Treating a chimp as if she were human is both kind and cruel, and once such a relationship is forged there's no way to painlessly disentangle that knotted duality. Rosemary has felt caught between these two worlds her whole life. When she was eventually sent to a regular school after Fern was gone, the other kids called her "monkey girl". She's never learned to be fully comfortable with other humans, and there is no longer anywhere she can be her true self. For the rest of her life, Rosemary feels bisected. Bleeding. I've read that no loss compares to the loss of a twin, that survivors describe themselves as feeling less like singles and more like the crippled remainder of something once whole. Even when the loss occurs in utero, some survivors respond with a lifelong sense of their own incompleteness. 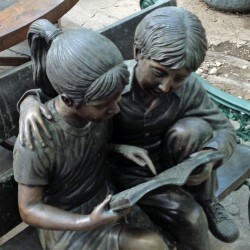 Identical twins suffer the most, followed by fraternals. Extend that scale awhile and eventually you'll get to Fern and me. And Fern recognizes this, too. When the girls were little, one of the experiments their father and the grad students would run with Fern was "Same/NotSame". She was given a red and a blue poker chip and was supposed to choose one upon evaluating two objects - red if the objects were the "same", and blue for "not same"
[Lowell] asked me, "Do you remember that game Fern used to play with the red and blue poker chips? Same/NotSame?" I know what our father had thought it meant. Nothing useful. Once, she'd given me a raisin for every raisin she'd eaten, and now she had two poker chips and was giving me one. Two interesting behaviors – that was far as Dad could go. Here is what I'd thought it meant. I'd thought Fern was apologizing. When you feel bad, I feel bad, is what I got from that red chip. We're the same, you and I. My sister, Fern. In the whole wide world, my only red poker chip. This book is my red poker chip. Let me just repeat that I'd once gone, in a matter of days, from a childhood where I was never alone to this prolonged, silent only-ness. ...this is a language I speak. These are places I have been. Every now and then I read a book that so perfectly encapsulates everything I believe to be true, everything I have distilled from my own experiences, everything I would scream to the world if only I knew what to say, that it's almost frightening. 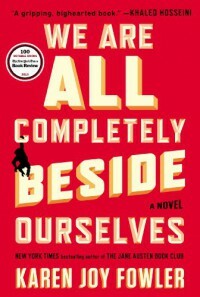 We Are All Completely Beside Ourselves is the latest iteration of that book. This plan of moving halfway across the country and never talking to anyone ever again was working like a dream. I wasn't happy, exactly, but I was remembering how happiness felt. I can't prove that I'm different from you, but that's my best explanation. I had missed her desperately in every one of those places, every one of those moments, and not even known it. The first time through, this book was about coming to terms with family trauma. The second time through, just a few weeks later, it was a passionate argument for animal rights. And the more I think about it, the more I see that these are really two sides of the same coin; our family relationships are just a microcosm – or should be, anyway – of our relationship with all of our fellow creatures. For the Cookes, there is no difference at all. It is not true that we are identical to other animals. There are many ways in which Fern and Rosemary show themselves to have widely disparate abilities and even fundamentally different natures. But what matters is the ways in which we are the same. Humans are not some separate class from other animals, and each trait that we think makes us unique turns out to show up, in some form, in other species as well. We need to learn to see the rest of our animal kin when we look in the mirror. We need to start recognizing them as Same rather than NotSame. Lowell: We need a sort of reverse mirror test. Some way to identify those species smart enough to see themselves when they look at someone else. Bonus points for how far out the chain you can go. Double bonus points for those who get all the way to insects. If I were to read this book a third time, I expect it would reflect some other primary theme – identity, loss, memory, guilt – but these are all folded into each other, too. It was one of those subjects to which everything that slithers across your brain seems relevant. I find this to be true of most topics.